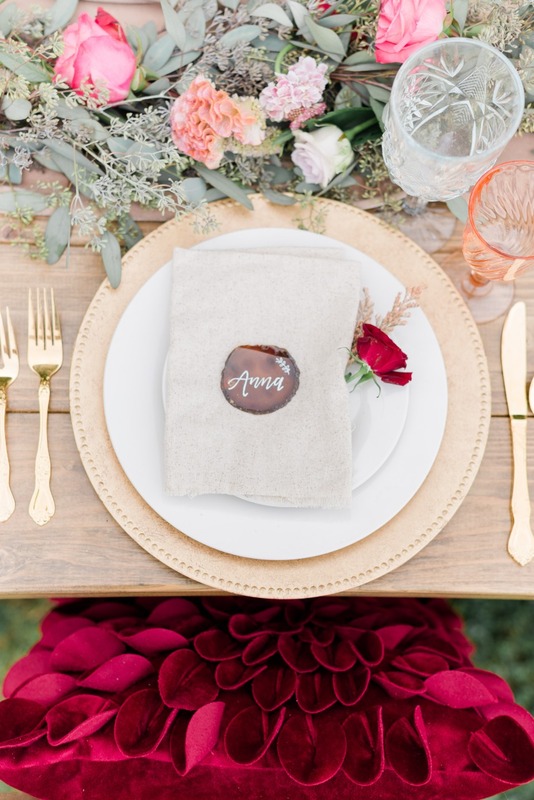 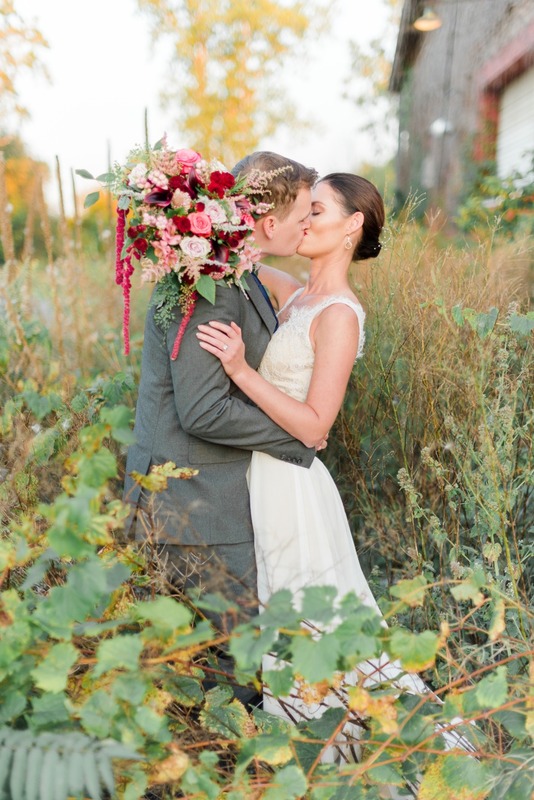 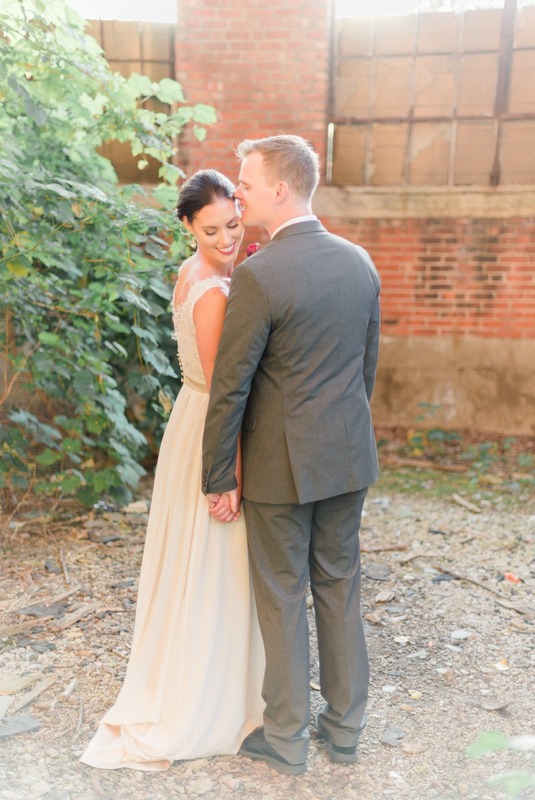 There is just something so cozy and warm about a Fall themed wedding day. 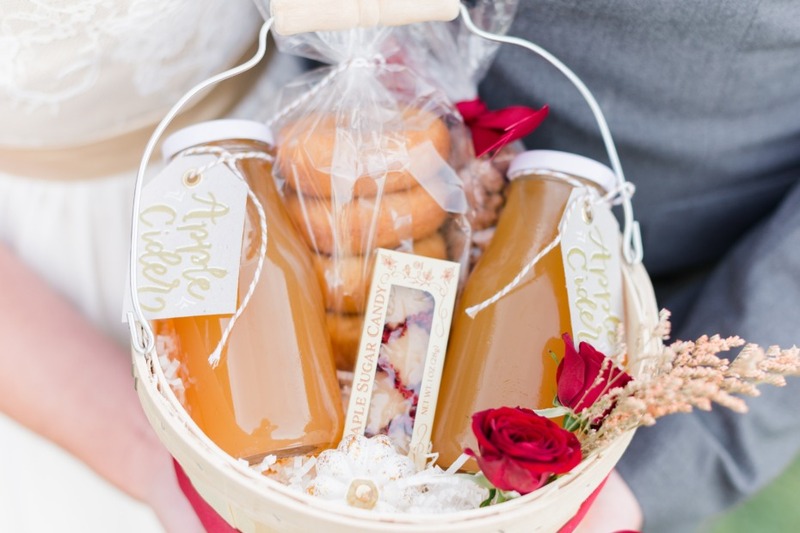 It could be in the dead of summer and as soon as someone cracks open a bottle of apple cider we will find ourselves reaching for a cozy cable knit sweater to throw on as we enjoy this autumnal beverage. 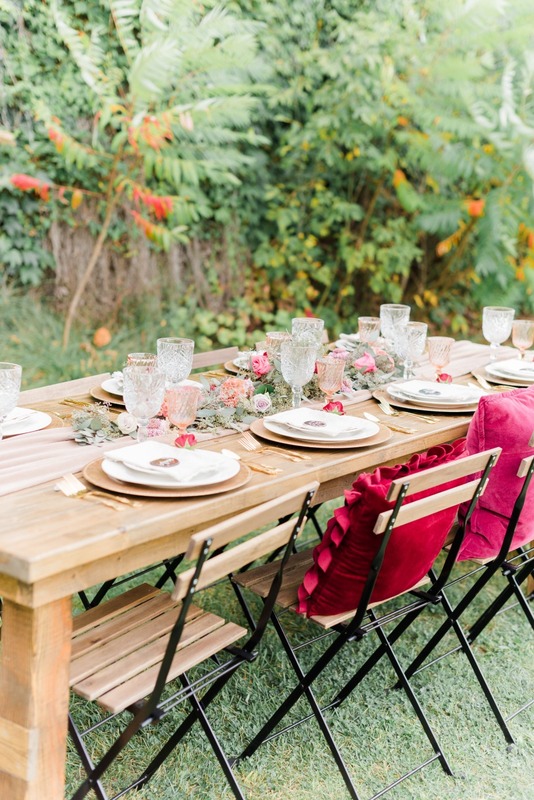 Pretty Little Vintage pulled together some quintessential Fall wedding ideas that are perfect no matter where you are, and we just had to share them with you. 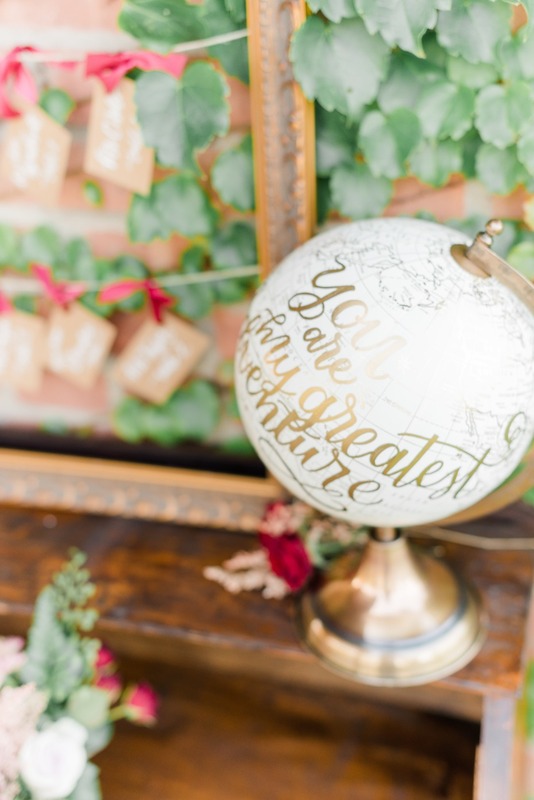 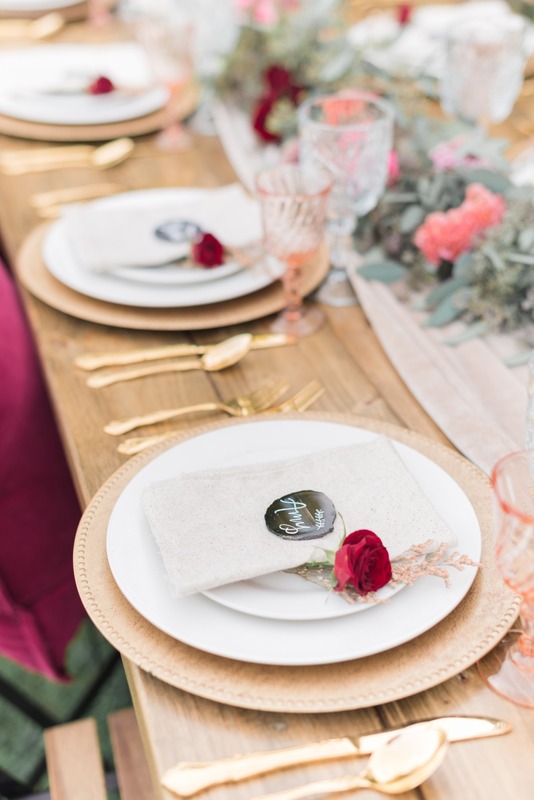 Keep scrolling to find one of our very favorite types of wedding bars, and be sure to stop by the full gallery to see every last image captured by the talented Molly Elizabeth Photography. 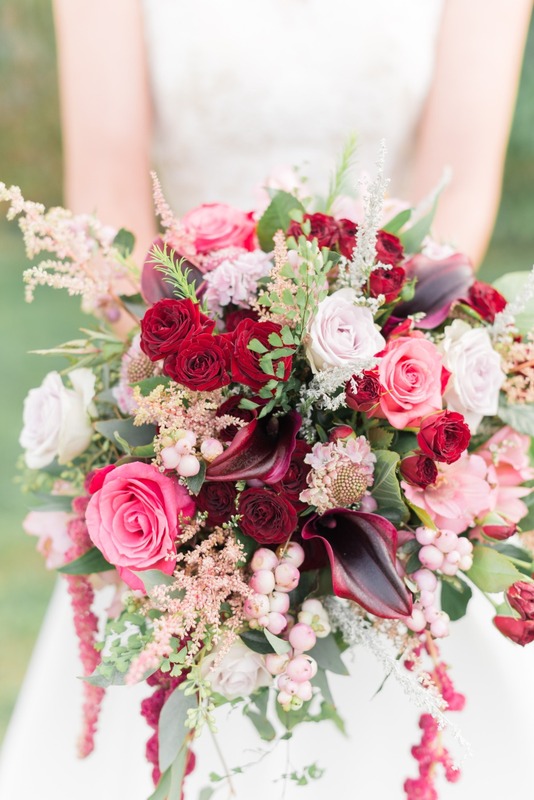 From Pretty Little Vintage Co. 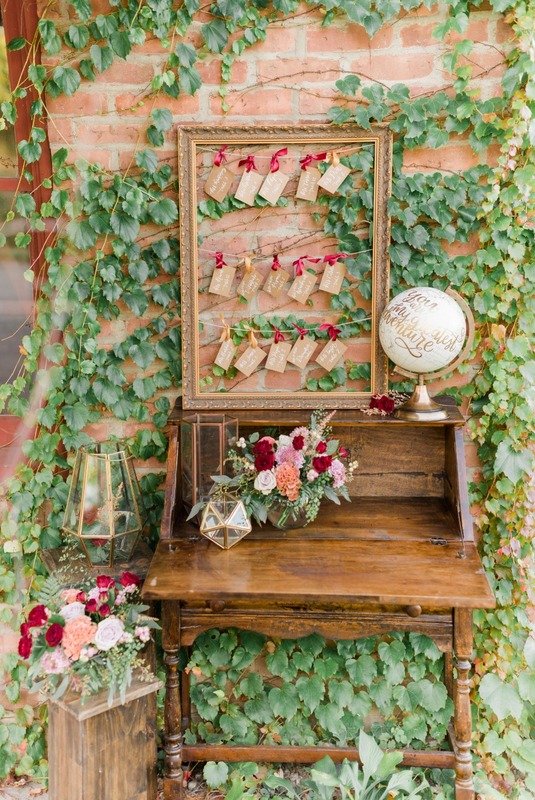 Vibrant colors, vintage details and beautiful all over. 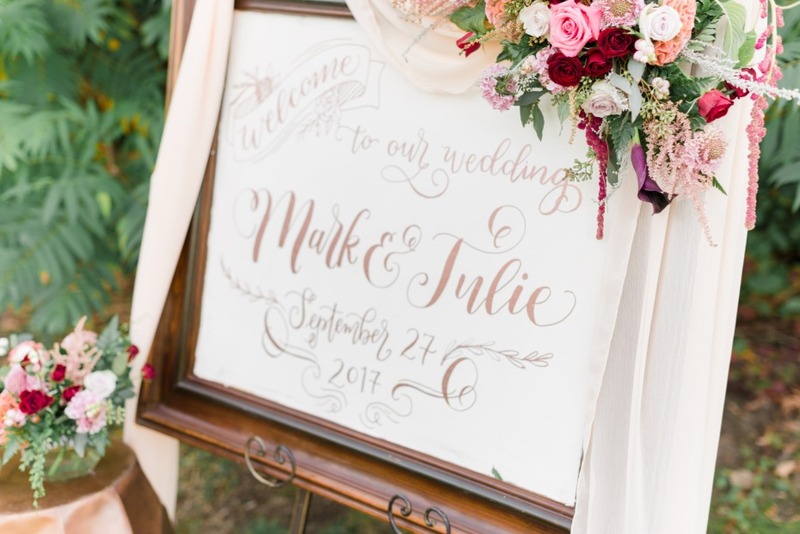 We wanted to create a fun and colorful styled wedding shoot with geometric shapes, hand-lettered details, vintage furnishings and the most beautiful floral. 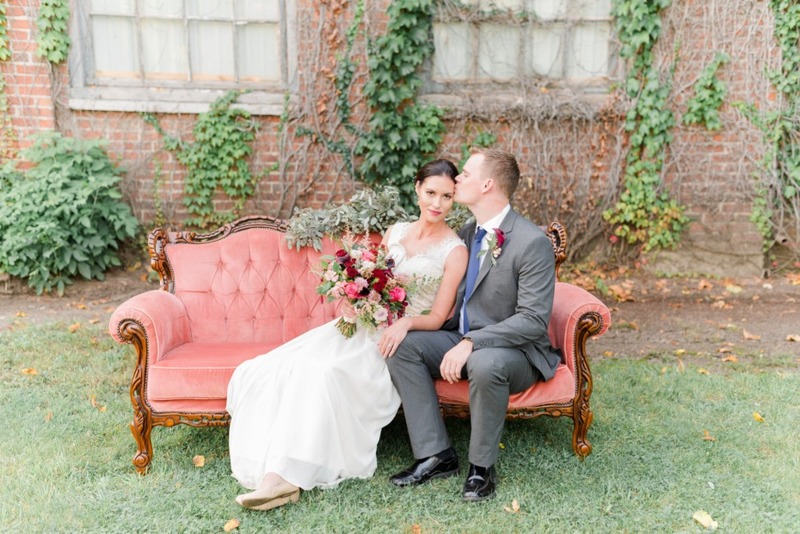 Shades of pinks and deep burgundy really popped against the old abandoned warehouse that was covered with vines. 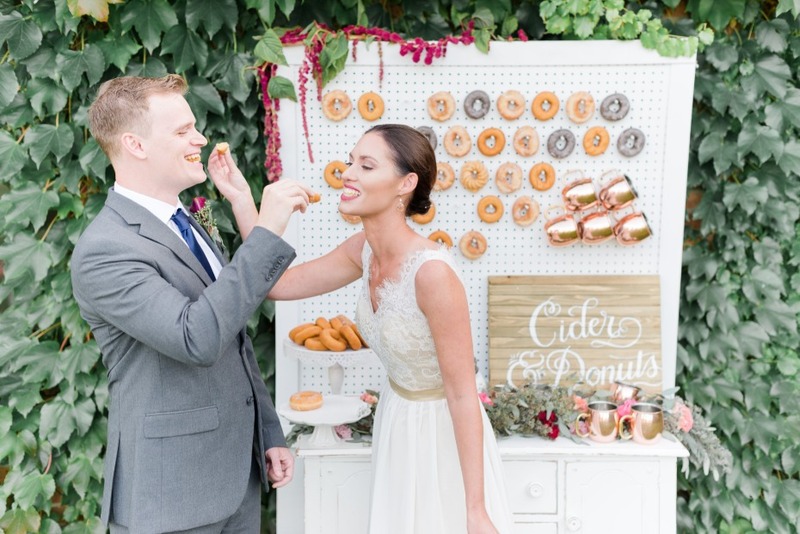 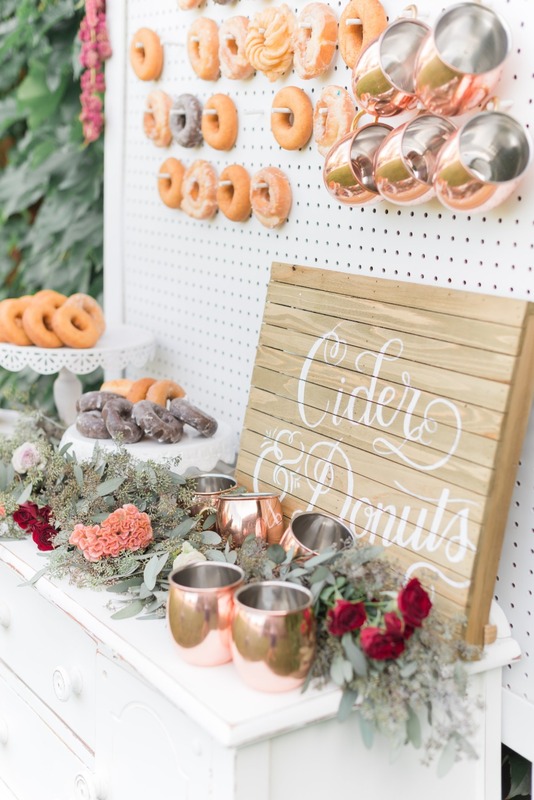 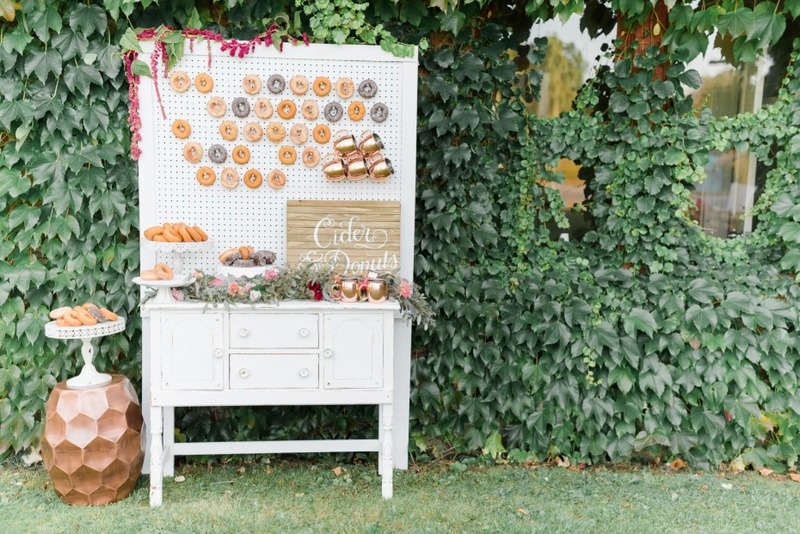 An intimate farm table, cozy lounge and a cider and donuts bar set the scene for this outdoor affair. 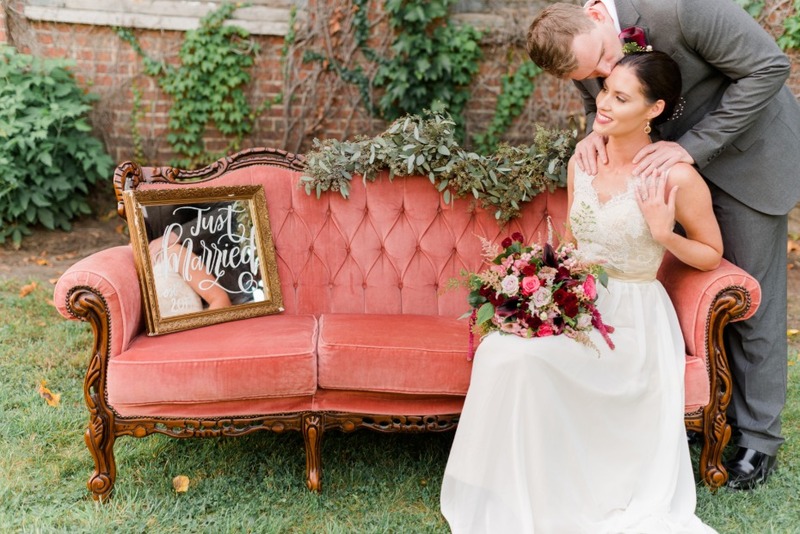 We hope that you love it as much as we do!